The sheriff said Attorney General Gurbir Grewal was appointed for "the turban." New Jersey Gov. 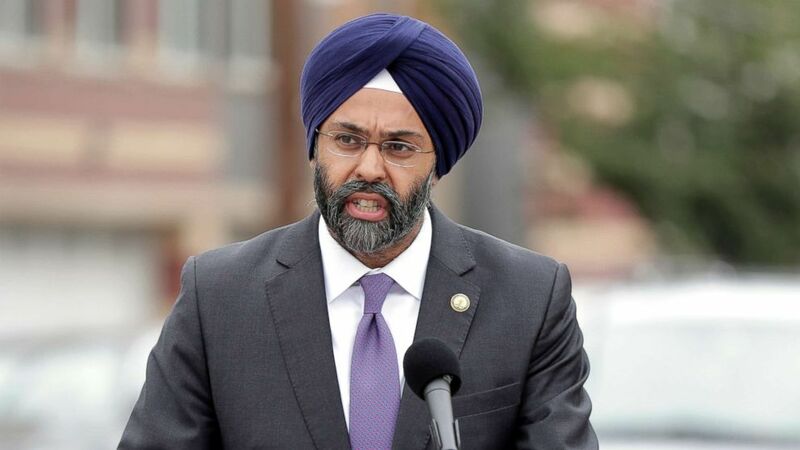 Phil Murphy is calling for one of the state's sheriffs to step down after the sheriff was purportedly recorded making racist comments about New Jersey Attorney General Gurbir Grewal, who is Sikh American. Bergen County Sheriff Michael Saudino allegedly made multiple controversial remarks in a Jan. 16 conversation that took place after Murphy was inaugurated as governor, the recordings of which were obtained by WNYC. In the recording, Saudino was discussing whether Murphy had made any appointments from Bergen County, according to WNYC. When an undersheriff in the room remarked that Grewal is from Bergen County, Saudino purportedly replied, "He didn't do that because of Bergen County. He did that because of the turban." Grewal wears the turban due to his religious beliefs. 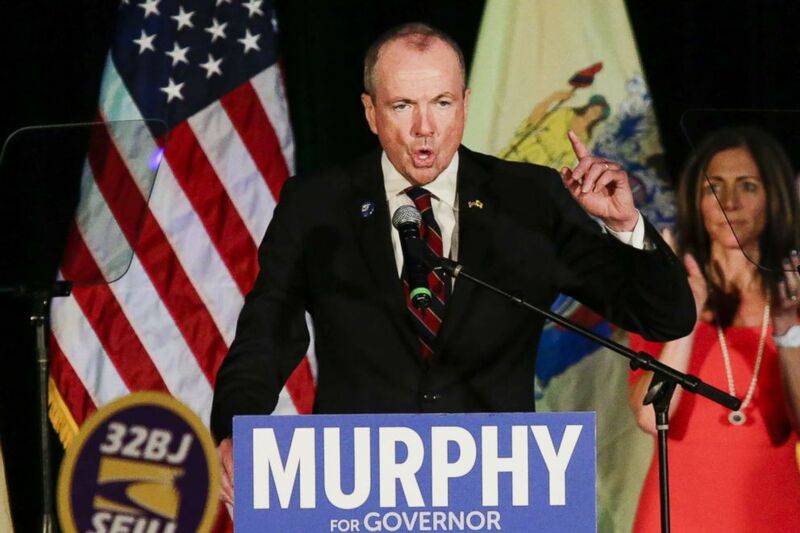 (Eduardo Munoz Alvarez/Getty Images FILE) New Jersey Governor-elect Phil Murphy speaks at an election night rally on Nov. 7, 2017, in Asbury Park, N.J.
Saudino also purportedly said in the recordings that when the governor spoke about policing issues such as marijuana and better criminal justice reform, he was telling New Jersey residents that they could "do whatever the f--- they want." "Christ almighty. In other words, let the blacks come in, do whatever the f--- they want, smoke their marijuana, do this, do that, and don't worry about it," Saudino said. "You know, we'll tie the hands of cops." In another recording, Saudino purports to question whether Lt. Gov. Sheila Oliver is gay, asking, "Is she gay? 'Cause she's never been married." (Bergen County Sheriff's Office) Sheriff Michael Saudino is seen in this undated police handout. Grewal wrote on Twitter that he has developed a "thick skin" after being "called far worse." But, he described Saudino's apparent comments about the Black community as "wrong, racist and hurtful" and the comment on Oliver as "inappropriate and homophobic." I’ve got thick skin and I've been called far worse. But the comments about the African-American community are wrong, racist, and hurtful. The comments about our Lieutenant Governor are inappropriate and homophobic. New Jersey and Bergen County deserve better. The source who provided the recordings to WNYC told the public radio station that they took place inside a county office building after he attended Murphy's inauguration. Two undersheriffs were also in the room, according to WNYC. The governor said in a statement to ABC News that if it is Saudino speaking in the recording, he should resign. "Without question, the comments made on that recording are appalling, and anyone using racist, homophobic, and hateful language is unfit for public office," Murphy said in the statement. "If indeed that is Sheriff Saudino’s voice on the recording, he must resign." Grewal also tweeted that he surmised it was Saudino's voice after listening to the recording. I have now listened to the recording obtained by @WNYC. If that’s in fact Sheriff Saudino's voice, then he should resign immediately. In a statement, Saudino apologized, saying the remarks "are not representative" of who he is and are "in no way consistent with the manner" in which he has conducted his life personally and professionally, according to NJ.com. "In an effort to repair the damage to the friendships that I have built with these communities I have reached out directly to several respected leaders in the communities I have offended and I have personally offered my apologizes and I have asked for their forgiveness and for their communities' forgiveness," he said. Saudino did not mention in the statement whether he is going to step down. A representative for the Bergen County Sheriff's office did not immediately respond to ABC News' request for comment. Bergen County Executive Jim Tedesco echoed Murphy's statement, saying that he was "shocked and disappointed to hear these comments" and that he has worked with the sheriff "for years." "Bergen County’s diversity is our strength and his statements are clearly inconsistent with our values," Tedesco said in a statement to ABC News. "In the best interest of the public, he should step down." (Julio Cortez/AP) New Jersey Attorney General Gurbir Grewal speaks during a news conference in Newark, N.J., Aug. 1, 2018. This isn't the first time Grewal, the first Sikh in the country to hold office as attorney general, has dealt with racist comments made publicly. In July, he was referred to as "turban man" by two conservative talk radio hosts on "The Dennis & Judy Show" on New Jersey 101.5 radio. Grewal took to Twitter to respond to the radio hosts, saying he told his three daughters to turn off the radio the day they made the remarks. Saudino, an elected official, is serving his third term, according to his biography on the Bergen County Sheriff's Office website. 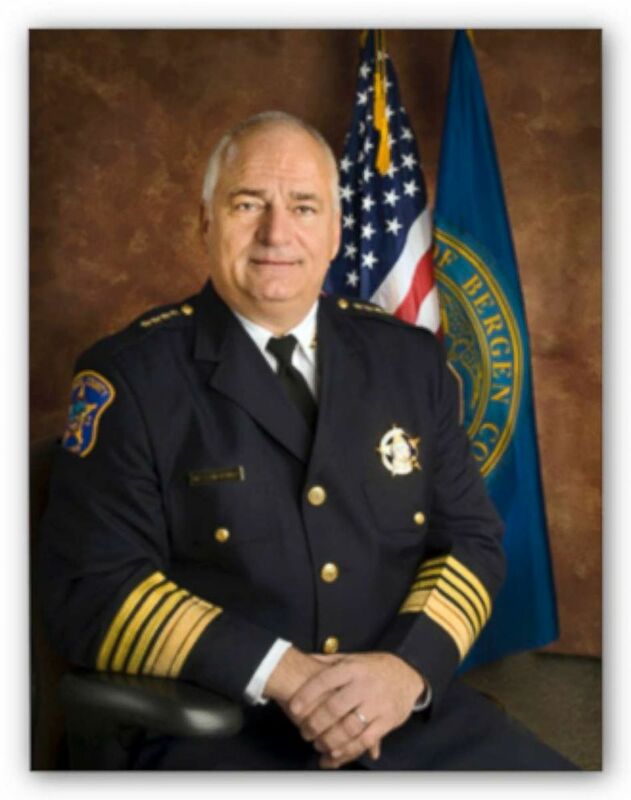 He became sheriff in 2011, has been working in law enforcement for 41 years, and has lived in Bergen County for 53 years, his biography states. Bergen County is New Jersey's most populated county, and its sheriff's office is the largest law enforcement agency in the state, with about 600 employees -- all of whom are led by Saudino, according to WNYC. His responsibilities also includes assisting municipal police departments and running the Bergen County Jail, among others, WNYC reported.